Board of Secondary Education, Karachi conducted the exams of 9th and 10th class this year in the month of March. The students who appeared in the exams managed by the board would be waiting desperately for the result. They are being intimated through this platform that you can get the result of Matric BSE Karachi Board in the month of August. You can download matric result subject wise on this website. 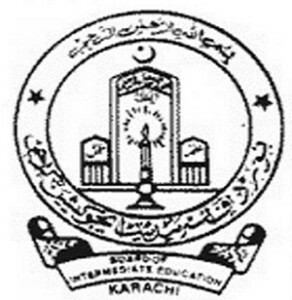 The Board of Secondary Education Karachi was come into being in 1950. Before the partition of Secondary and Higher, University of Bombay controlled Secondary Education in the whole Province of Sindh. After the establishment of Sindh University, Secondary Education was abolished into Sindh University. Thus the control of Secondary Education was handed over to the Board of Secondary Education Karachi. Mr. Sultan Mohyuddin was appointed its first President. Initially, the Board started functioning in a three-roomed ground floor of a residential house at Fatima Jinnah Colony, off Jamshed Road, with a skeleton staff of 3 or 4 persons only. The Board held its first examination for 1,461 examinees. The curriculum and courses of studies were prescribed by the University of Sindh which in itself was an adaptation of curriculum and syllabi of the Bombay University in 1951. The Board drew up its own curriculum & syllabi in 1952. The Board of Secondary Education Karachi is upholding and monitoring the values of education for the development of students. To provide smooth conduct of matriculation examination. To provide research-oriented work to researchers. To promote curricular and co-curricular activities in the country. To arrange workshops for teachers to guide them through proper paper setting techniques. To arrange workshops and seminars for teachers to improve quality of assessment of scripts. To provide the scholarship program for students to promote health education. Board is also providing a source for students to achieve their dreams. Thousands of students are registered each year for Matric exams held by secondary Board of Karachi. Now the board is working very hard to improve education in the province of Sindh. There is a good news announced from the Board of Secondary Education BSEK that the Karachi Board Matric 10th Class Result 2018 of Science and General Group is going to announce soon. Expected date of the announcement of result is 24th July. So, students just stay in touch with this page in order to get your quick and fast result. After the announcement of Matriculation Result 2017 Karachi Board organizes the award and prize distribution ceremony every year, awards and prizes are given to the top position holders in order to appreciate them on their efforts, they are also be awarded by scholarships for their next studies. The BSEK gives certificates to the successful candidates who appeared in 10th class examinations. Students who will fail in one or two subjects could appear in the supplementary exam that is expected to be held in the month of September. 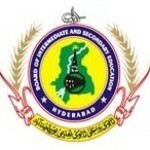 The Board conducts examination on annual basis for regular, private students. 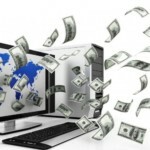 Our website is the popular source of online education results in Pakistan. Get all the 2017 results online here. We will guide you on timely and regular basis about the Matric Result 2017 so keep in touch with us. You can get the all information about your studies from this site. We wish you all the best for your future.